In the US and Canada, research is being conducted on the effectiveness of medical marijuana on various conditions. But there have been problems with the research including regulatory issues and administrative hurdles. Part of the issue lies in the differences between studies. It cannot definitively be claimed that medical marijuana is effective in treating something like chronic pain when one trial treats 25 people with low dose THC for 5 days, another treats 55 people with CBD oil for a month, and still another studies 20 people using a combination of higher dosed THC and CBD oil for 10 days. These groups are too different to be able to compare and they are too short to consider what the long-term effects might be. More research with larger sample groups, using defined (low to high) dosages of CBD, THC, or a combination of the two cannabinoids, over a longer period of time is needed. To-date, the research is promising. However, as stated above, much more research is needed. Over the last few years I have seen more and more people in my office who are treating their troubles, especially sleep problems and anxiety with marijuana. One of the problems with doing this, however, is that you never know what the THC levels are in the marijuana you’ve bought. The impacts on you could vary from helpful to dangerous. Experimenting on yourself is risky. You don’t know whether you have a genetic vulnerability to the drug which would place you at higher risk of having a psychotic episode. And unfortunately, I have worked with people with a family member who became psychotic using marijuana and was never the same afterwards. Is Prescription Marijuana the Answer? There are now centres selling prescription marijuana under the care of a doctor. 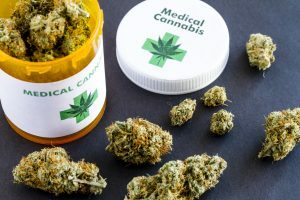 Although this is a much safer way to consume marijuana for issues such as pain, each company has a disclaimer that the use of medical marijuana could lead to psychosis. There’s so much potential in medical marijuana helping people. But much more research needs to be done before we’ll know what specifically can help us or hurt us. Someday that really could be something to celebrate.